If you have a slightly higher budget for your signage, then Sign and Art can give you the opportunity of adding a Neon Sign format adding an interesting feature to your business fascade. 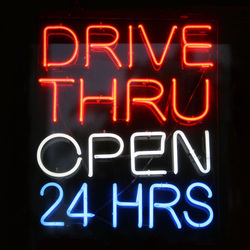 Neon signs give you an aesthetically bright colourful and eye catching advantage to standard illuminated signs. This advantage will give you better recognition not only with your competitors but also to your neighbours.